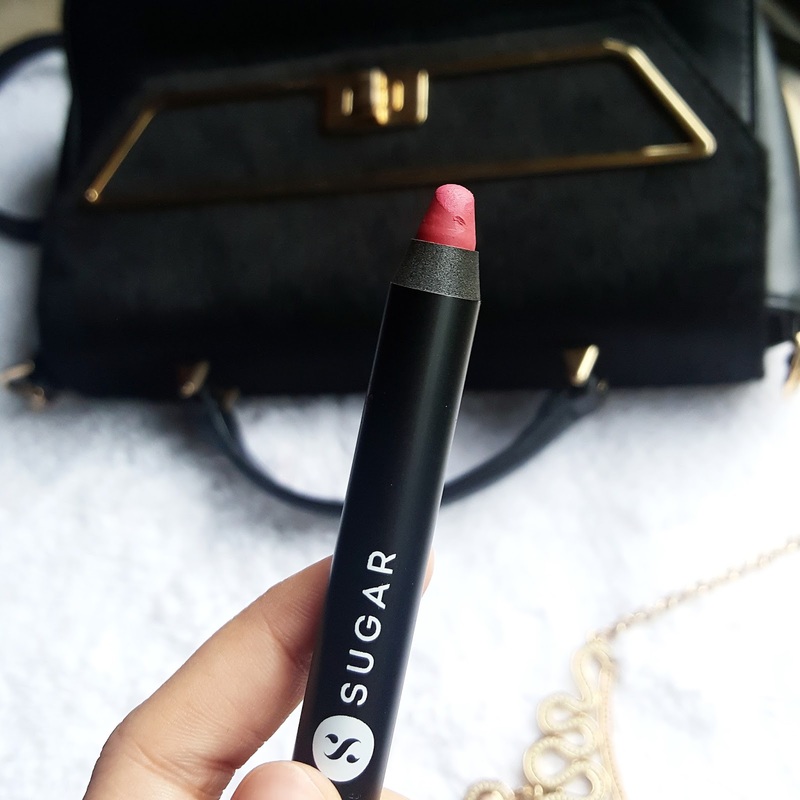 I am back again with my most forever time favorite matte lip crayon from Sugar Cosmetics. 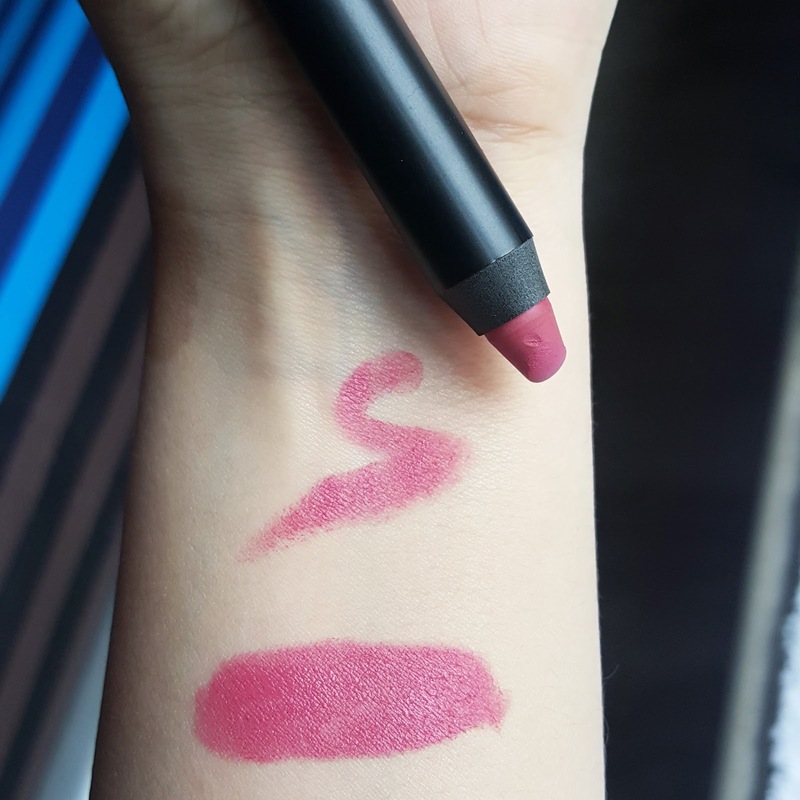 Last time I had a review on Hell as Matte crayon in Marry Poppins and its still one of the best fuchsia matte that I have got. Cant seriously get over it. So I was hoping they will get some more shades and here it is ROSE DAWSON this name only strikes one thing in my mind ROSE DAWSON from titanic I suppose this shade is totally inspired by the character. So lets find out more about this shade. Rose Dawson is beautiful rose pink shade. What comes in my mind seeing this shade? A perfect shade for evening romantic date...This color totally reminds of subtle soft rose. Its neither warm nor cool just a balance of both which makes it go on every skin tone. 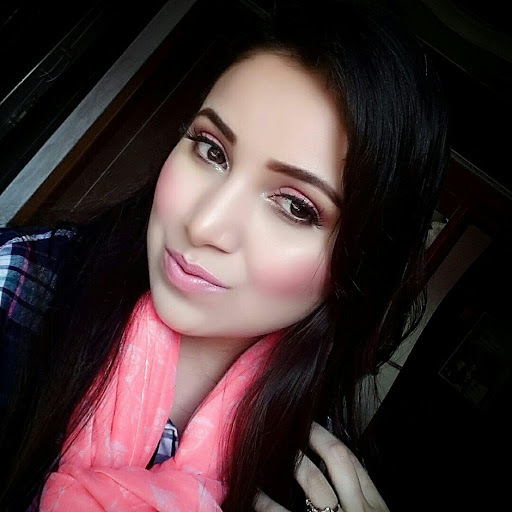 This pink shade is most flattering one rite now. 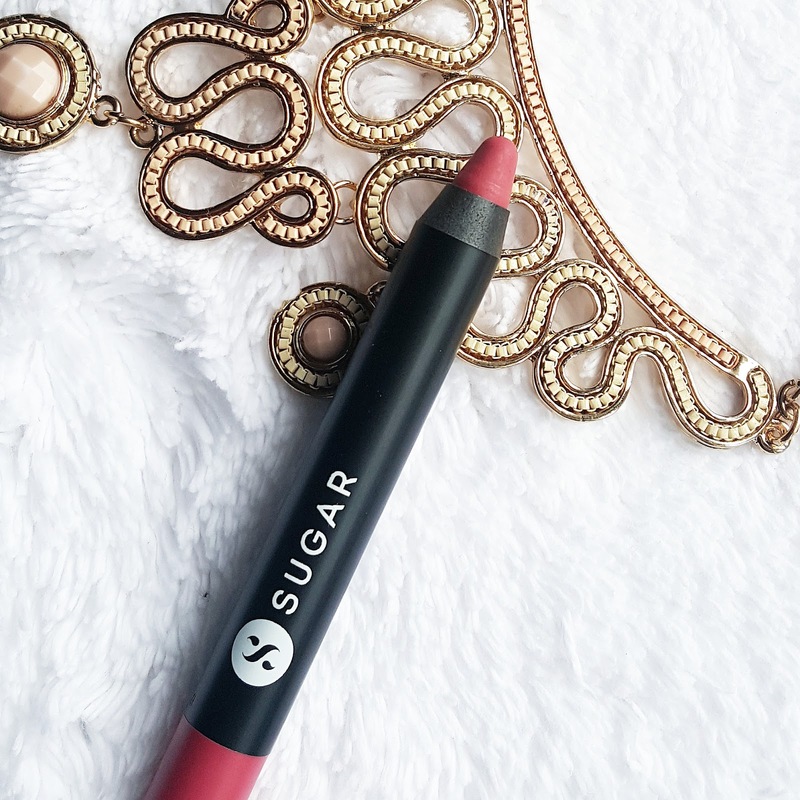 You don’t have to think twice before applying this shade. It’s a fragrance free lipstick. The texture is soft buttery and so smooth that just glides on giving even application. It doesn’t look patchy or dry after application. I don't need to prep my lips with balm. 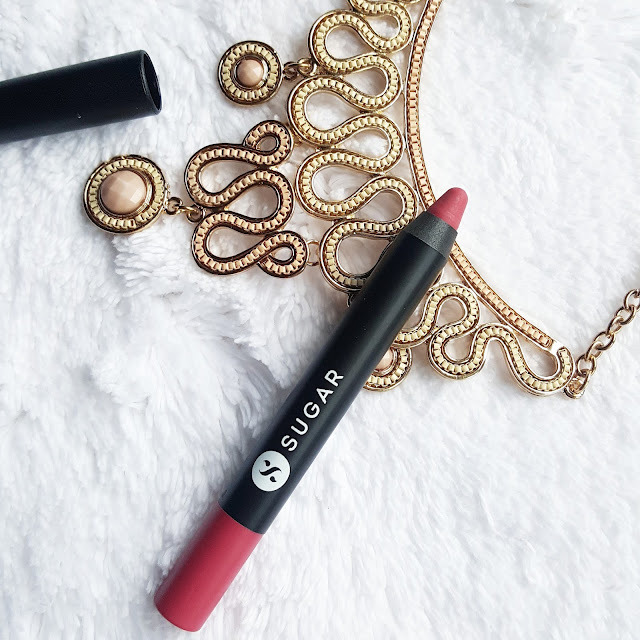 The formula sets well on my lips without smudging or bleeding. Doesn’t accentuate my fine lines. The pigmentation is so good enough that it gives complete coverage in one stroke. 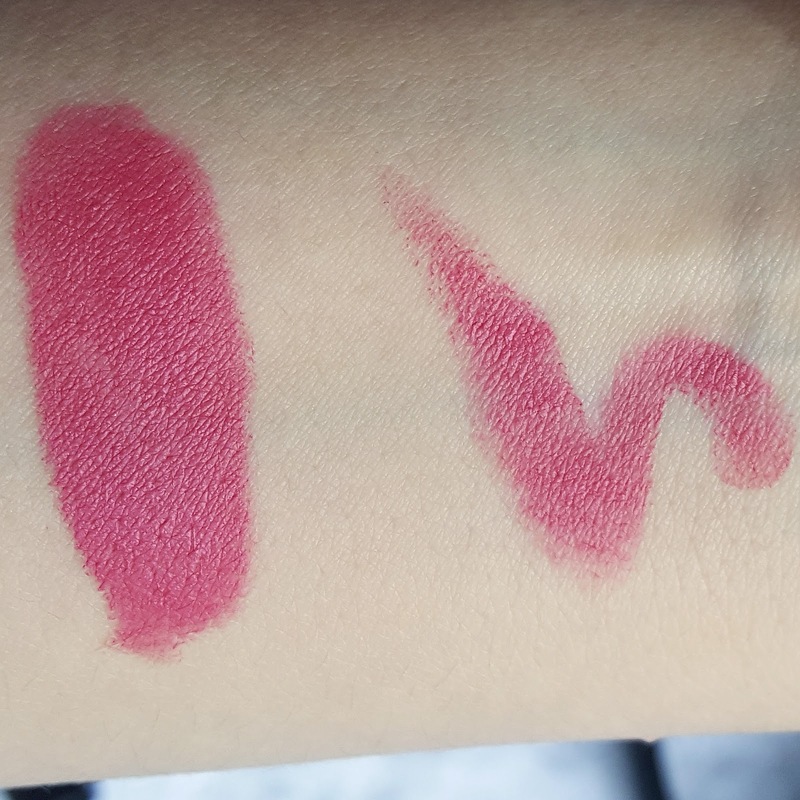 This are the crayons which will make you fall in love with matte lipsticks. Staying power is for 7-8 hrs. Doesn’t transfer much I usually build the color by applying blotting with tissue and then reapplying again. Overall recommended if you have already tried lip crayons from this range you probably wont wait to try this out. If you haven’t got hands on any of hell as matte crayon lip shades then you probably need to have at least this one. So what are you waiting for go grab them before it goes out of stock.